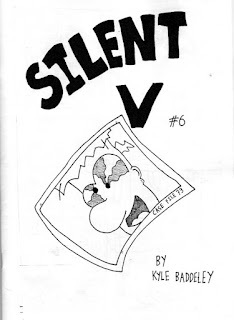 Also, the seventh and final installment of Silent V is now available! Email me if you'd like one. Rob Jackson (of www.robjacksoncomics.com fame) and I are going to launch a sci-fi/fantasy anthology called Letterbomb. We're now accepting submissions for the first issue, should any of you fancy dropping us some work! The sci-fi/fantasy theme can be interpreted as broadly as possible! I recently traded a bunch of my comics with Gareth Brookes, who has been self-publishing comics on the UK Small Press scene since 2005. O watch the cares of men disperse! Next in the bundle was 'The Black Project 1'; an altogether darker, more sombre book. This comic tells the tale of a young chap who decides to combat his teenage loneliness by constructing a girlfriend out of craft materials and other bits that come into his possession. For me, there was quite a sinister undercurrent beneath the story. 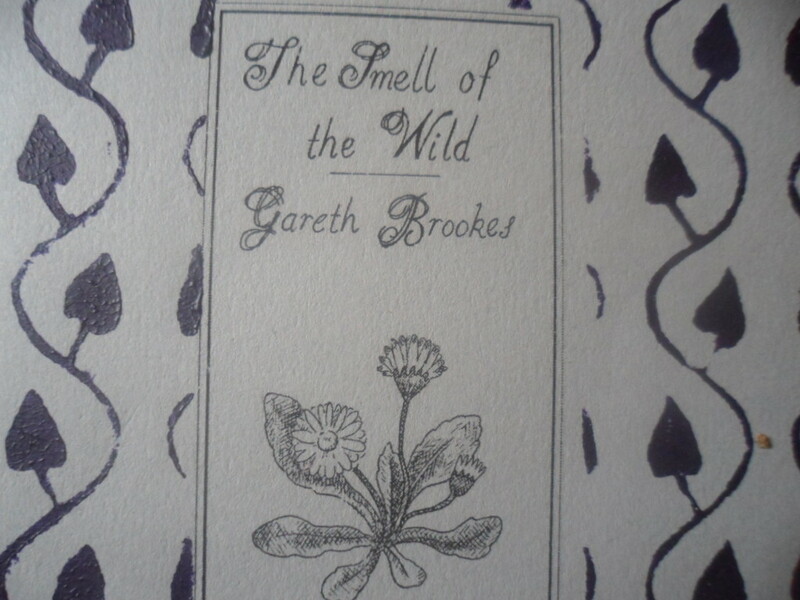 The ending was actually quite shocking, and Gareth really managed to convey his narrator's feelings. These were really funny, and a huge departure from the past two books I'd read. Using simple drawings and stick figures, Gareth cracks jokes about the meaningless absurdity that punctuates our day to day existence. The sense of humour, and the subject matter, reminded me somewhat of Matt Groening's 'Life in Hell' strips - though Brookes' sense of humour is frequently more sarcastic and cynical. 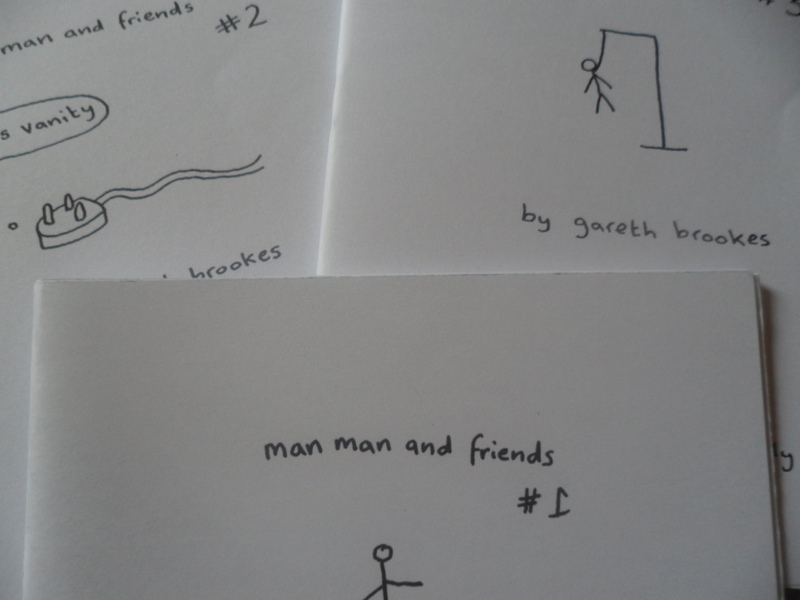 Gareth Brookes' comics are available from his website, which can be found here. Rob Jackson is one of the most prolific and diverse creators working in the British comics small press scene. His body of work covers everything from autobiography to horror, to detective fiction. I've decided to focus this interview primarily on his fantasy genre work, particularly Bog Wizards, Great Deeds Against the Dead and The Gods Must Be Bastards. First off though, we'll start with a quick chat about the British small press, and Rob's experience of it over the years. How aware were you of underground comics in the UK when you began? Did you find your way into the small press/mini-comics network, or did it find you? I had never heard of underground comics in the UK. I started off by reading lots of Robert Crumb's Zap comics that I found in a small shop in Liverpool and manga that I had gotten into by watching anime. Then I went to a comic mart at Sacha's hotel in Manchester looking for some manga and met Colin from Accent UK and Shane Chebsey who were selling their small press comics. I thought I'd try and do some too so I did my 'Train to Shanghai' comic. 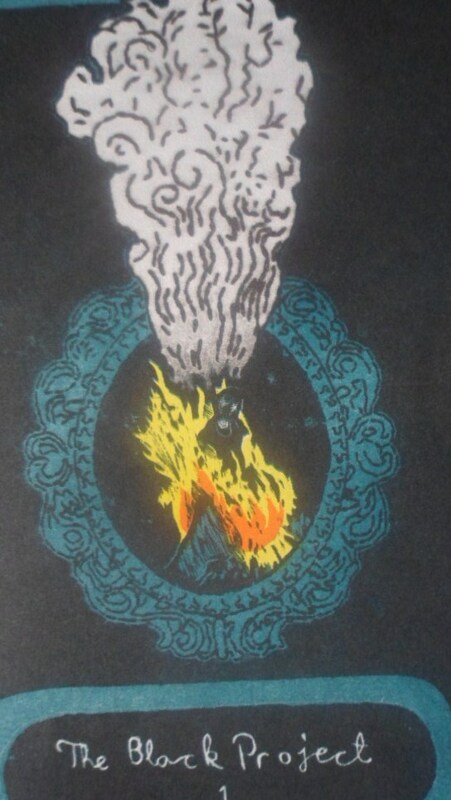 Once I'd done that I went to the Bristol Comics Festival to try and sell it and sent copies out to get some reviews. How important are conventions to what you do? Would you care to go into detail about some of your best and worst experiences at them? Conventions are great to meet other cartoonists as it can be a lonely business otherwise, just drawing on my own. My worst convention was MCM Manchester last year as I only sold one comic all day and no one seemed interested in my stuff at all. My favourite bits at conventions are normally the drinking and talking afterwards as selling the comics can get very stressful. You've published anthology comics featuring the work of other creators, and also contributed to the work of anthologies released released by others. Do you feel part of a coherent scene in alternative comics in the UK? Not so much at the moment as I haven't been to any shows since Leeds Thoughtbubble in November so I haven't seen anyone. Bog Wizards is a pretty silly, light hearted fantasy story. Can you tell us a little bit about the inspiration behind it? I just started drawing it on page one without planning it out. I was inspired by reading the 'Dungeon' books by Lewis Trondheim, Joann Sfar and others. Was it planned as a two issue comic from the start? No, just a one off. The artwork in issue 2 of Bog Wizards is much more intricate and realised (I'm thinking especially of the single panel pages 12 and 13). Did the second issue take much longer to produce? It took about the same length of time as I did one page a day but I spent more time on each page. I drew those two comics at A4 instead of my usual A3 so they were quicker. For me, Great Deeds... features your best plotting to date. The story thread weaves together towards quite a satisfying and unexpected conclusion. I get the impression your skills as a writer had evolved quite a bit by this point. Would you agree? Thanks! I like the way the story turned out. I was at work in an office at the time so I would write out the plot a few pages ahead of where I was drawing, when I should have been working. I particularly enjoy the aspects of Great Deeds... narrative which are ambiguous. Despite multiple re-readings, I'm still a bit perplexed by the 'Colonial Amusements...' section that ends issue one, and also the dream of pylons that Alex speaks of at the start of issue two. Would you mind going in to this a bit for me? The Colonial Amusement story is about a walk me and my brother went on along the river in Lancaster, I took a lot of photos and used them to do the drawings. It was a nice walk really without any fighting. Most of the graffiti was real and I wanted to use that in the story. In the second issue I made that story be a weird and confusing dream that Alex has just woken up from. Where on earth did you find the idea for the Timmy character? The Timmy character is based on a novelty gumball machine I saw in the street in Dubrovnik, Croatia. Apparently there is also one in Whitby. I took a photo of it as it was a very strange and creepy looking thing. I imagined it as a sort of evil Pinnochio. The Gods Must Be Bastards seems to take place in alternate version of our own world, one where religion has triumphed over science. Were you trying to make a comment on our culture with this? If so, what? I wasn't really trying to say anything. I like the idea of books written about alternate worlds. In that one the gods are real, and they are kind of like the gods of ancient Greece, petty and vindictive. The Gods Must Be Bastards features some beautiful, fluid naval battle scenes. To me, they're the high point of your drawing to date. Are there any aspects of your drawing you're still unhappy with? If so, what would you like to change? I'd like to be able to draw people better. In my new comic about my family history (which should come out this year) I had to draw a lot of the things I have always hated drawing before, like horses, animals and vehicles and I think that has made me a better drawer. My drawings of horses still amuse me though. Though it makes some quite serious points about religion and science, The Gods... has quite a daft, absurdist plotline. What made you take this stance with the narrative, were you ever tempted to take a more serious approach? I could have made it a lot darker but I like putting jokes in every so often. It's the Easter holidays now, and the school I work at has broken up for two weeks. This has given me plenty of time to get a-comicing, and I've managed to keep up a schedule of drawing a page a day for the whole of this week. It's good to be this productive with comics again, as Silent V #5 had taken an altogether ungodly amount of time to write and draw. There haven't been any reviews yet of Silent V #5, but the bits of feedback I've had have been positive about the inclusion of a back-up strip. It works well for me too, as drawing the same characters and locations does get tiresome. As I type this, I'm 5 pages in to drawing the main story for Silent V#6, and I've got some ideas for a one-off secondary strip. As just mentioned, there haven't been any reviews yet of Silent V #5, though it has gone out to Optical Sloth and High-Low. I must admit I'm somewhat nervous about the critical responses to this one, as I don't know how the rather unsavoury "Flotsam and Jetsam" strip will be received by reviewers. Time will tell. And, hey-ho, I liked "Flotsam and Jetsam" even if no one else does. Rob Jackson - "It's a Man's Life in the Ice Cream Business Part 1"
It's a long time since I've written a review of someone else's work to go up on here, and its great to get back into doing such with a peek at a comic by my old pal and colleague Rob Jackson. His latest serial offering (this is the first part, of two) is an autobio comic, detailing his decision to abandon a life of office drone drudgery in favour of supporting himself and his art through the manufacture and sale of ice cream. This is a subject that I have (sort of) personal experience of. A year or so ago, my fiance started her own vegan cake business (www.deerlybelovedbakery.blogspot.com) - so the ups and downs of cottage industry food production and retail are well known to me. My better half and I laughed plenty at Rob's over-analysing of customer reactions to his wares, as related through his wry story-telling style. In the early pages of this comic, Rob tells us how he decided to quit his job and sell ice cream so that he'd have more time to concentrate on his comics. It's fitting that some of his first comics work since going into the ice cream trade should revolve around the very thing that's supposed to be providing financial support. It seems Rob's getting a lot more out of his newfound business venture than he initially suspected. Not only is hawking ice cream around at farmer's markets providing Rob with an income, it's also inspiring his art. As is often the case with Rob's work, the drawing is somewhat erratic. The first few pages are extremely loose pencil drawings, that sharpen up and become more defined as his business begins to take shape. Rob's clearly more comfortable drawing backgrounds and scenery than he is rendering the human form, but the simple figures aren't distracting, and the slice-of-life narrative is the main focus here anyway. This is a great addition to Rob Jackson's rich and varied oeuvre, and I look forward to reading part two. Well, this post has been a long time coming! The fifth issue of Silent V is now completed and duplicated and ready for whoever wants a copy. It includes 17 pages of the main story, and also a 13 page back up strip I drew last summer called "Flotsam and Jetsam." Things continue to develop in the world of Silent V, as Groznug and his acolyte travel forward in time in an attempt to save the temple from the treefrog/dingo coalition. The comic is available by emailing me at brokenbiscuit at gmail dot com, or if you can hang on until 19th May, it'll be available at the self-publishing festival at Victoria Baths, Manchester. If anyone is interested in back issues of this series, I still have a number of copies of parts three and four available. Issues one and two are now completely sold out. It's been many a moon since I last updated, I know. The good news is Silent V #5 is off to get printed today!